Cameron and Tyler Winklevoss, the twins best known for their part in the history of Facebook, filed a proposal with securities regulators on Monday that would allow any investor to trade bitcoins, just as if they were stocks. The plan involves an exchange-traded fund, which usually tracks a basket of stocks or a commodity, but in this case would hold only bitcoins. Interestingly, while the Sponsor (the Winklevii) have contracted with the security firm, they don&apos;t yet seem to have lined up a trustee to be responsible for those bitcoins, or an auditor to audit the trust&apos;s continued possession of them. Which seems like a daunting assignment? 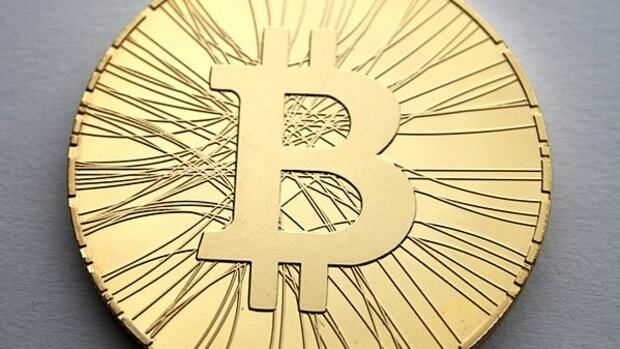 If a malicious actor or botnet obtains control in excess of 50 percent of the processing power active on the Bitcoin Network, such actor or botnet could manipulate the source code of the Bitcoin Network or the Blockchain in a manner that adversely affects an investment in the Shares or the ability of the Trust to operate. To the extent that a malicious actor or botnet (a volunteer or hacked collection of computers controlled by networked software coordinating the actions of the computers) obtains a majority of the processing power on the Bitcoin Network, it could alter the source code and Blockchain on which the Bitcoin Network and all Bitcoin transactions rely. To the extent that such malicious actor or botnet does not yield its majority control of the processing power on the Bitcoin Network, reversing any changes made to the source code or Blockchain may not be possible. Such changes could adversely affect an investment in the Shares or the ability of the Trust to operate. The toppings contain potassium benzoate! 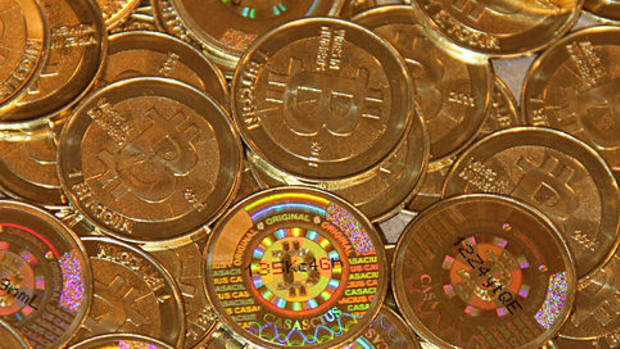 Bitcoin is anonymous, untaxed (for now) and quite liquid in and of its own right despite all the complexities of a cryptocurrency. A bitcoin ETF is taxed, has fees, may or may not be liquid at all. So, this is really a test: do you want to facilitate the exit of the Winkelvii from an investment at inflated levels which they will soon be taxed upon or do you want to sit this hand out? As indicated, there is no judicial or administrative authority discussing how Bitcoins should be treated for US federal income tax purposes, and therefore alternative characterizations are possible. For example, the IRS could take the position that a Bitcoin is a form of currency. If Bitcoins are determined to be currency rather than capital assets, then any gain or loss recognized by a Shareholder on a sale of Shares or from the Trust’s disposition of Bitcoins would be treated as ordinary income or loss. Notice: the bitcoin ETF thinks that bitcoin is not a currency.3 But they&apos;re worried about the risk that the U.S. government might declare it a currency. Maybe! Perhaps a more serious worry4 is piling a bunch of momentum-chasing retail investors into an ETF that invests in a thing whose liquidity is constrained by, y&apos;know, the whole, its exchanges keep getting shut down, you need to go to Liberia to buy it, etc. etc. etc. thing. I&apos;m generally in favor of efficient abstraction in financial services: if a thing is administratively hard to move around (mortgages recorded in county offices, paper stock certificates, bitcoins), why not plop a lot of it in one place and just trade abstract certificates on it? But the downside is that if people can easily sell their bitcoin ETF shares on a real live stock exchange, bitcoin arbitrageurs will dump bitcoins in the bitcoiniverse, and the bitcoiniverse is volatile enough as it is without trying to squeeze retail investor panic through its relatively narrow openings. As the prospectus puts it, "If the number of Bitcoins acquired by the Trust is large enough relative to global Bitcoin supply and demand, further in-kind creations and redemptions of Shares could have an impact on the supply and demand of Bitcoins in a manner unrelated to other factors affecting the global market for Bitcoins." The value of Bitcoins as represented by the Blended Bitcoin Price may be subject to momentum pricing whereby the current Blended Bitcoin Price may account for speculation regarding future appreciation in value. Momentum pricing of Bitcoins may subject the Blended Bitcoin Price to greater volatility and adversely affect an investment in the Shares. Momentum pricing typically is associated with growth stocks and other assets whose valuation, as determined by the investing public, accounts for anticipated future appreciation in value. The Blended Bitcoin Price is determined using data from various Bitcoin Exchanges that are selected by the Sponsor. The Sponsor believes that momentum pricing of Bitcoins has resulted, and may continue to result, in speculation regarding future appreciation in the value of Bitcoins, inflating and making more volatile the Blended Bitcoin Price. As a result, Bitcoins may be more likely to fluctuate in value due to changing investor confidence in future appreciation in the Blended Bitcoin Price, which could adversely affect an investment in the Shares. 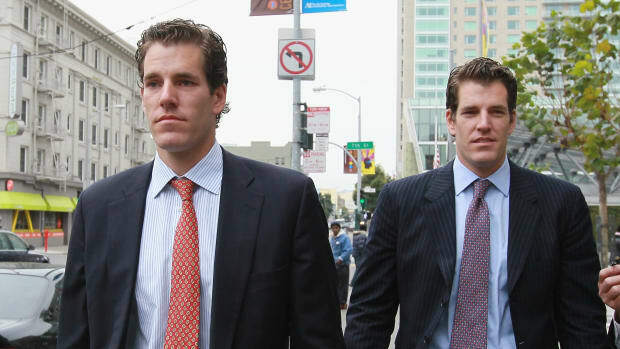 1.Just the names, for starters: Winklevoss Bitcoin Trust, sponsored by Math-Based Asset Services LLC, which in turn is controlled by Winklevoss Capital Management. The Trustee in charge of actually hanging on to those bitcoins is to be named later. 2."... and the other at random, with the consent of the Trustee, on a date selected by the Sponsor ..." Umm what? 3.Oh this is sort of a cheap shot. They don&apos;t think it&apos;s a currency for tax purposes. Nobody thinks anything is anything for tax purposes. "The Blended Bitcoin Price is based on the daily average of the high and low trading prices on various Bitcoin Exchanges in the Bitcoin Exchange Market chosen by the Sponsor." Pay attention to the pricing method. The "blend" is determined by the average of highs and lows of an extraordinarily volatile, illiquid and opaque investment security. That&apos;s risky. It might not be all that difficult to manipulate the ETF&apos;s share value by briefly pushing up or down the price of Bitcoin to extreme levels. Except that the NAV, which is determined by the Blended Bitcoin Price, only matters for purposes of calculating the Winklevii&apos;s fee. (Which is paid in bitcoins. So you might reasonably ask: why calculate it in dollars?) The value of the ETF&apos;s shares is what they trade for, and creation/redemption is done at 50,000 shares for 10,000 bitcoins. The Blended Bitcoin Price and NAV are irrelevant for any economic decisions except the sponsor fee, and so there&apos;s no reason for anyone to try to manipulate them. Except the Winklevii and do they look like criminal masterminds to you? The Winklevii may yet kill that which they claim to love. It’s the only way since they’ll all be dead when the cryptoverse triumphs under the co-Presidents Winklevoss.